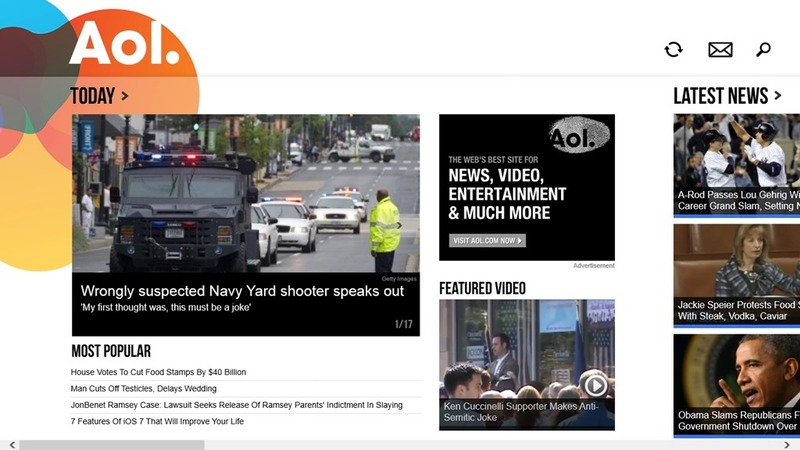 AOL Today is a free Windows 8 News app to read News from AOL.com. The app provides you with ability to get news from AOL.com, one of the Web’s most popular destination for News, Entertainment, Videos, and much more. The app can be obtained from the ‘News’ section of the Windows store. This free Windows 8 AOL app provides you with the capability to get today’s top stories right from AOL.com. You have the option to search from a number of categories like Today, Latest News, Sports, and many others. The Video section allows you to view latest video coverage from AOL.com. The content present in this free Windows 8 News app is hand picked by the editors of AOL.com. The interface of AOL Today is quite engaging. You will be having the capability to access the content on AOL Today, story after story. AOL Today allows you to view and read news from AOL.com. AOL.com is considered to be one of the most researched news destination. You get to view news from a number of categories. 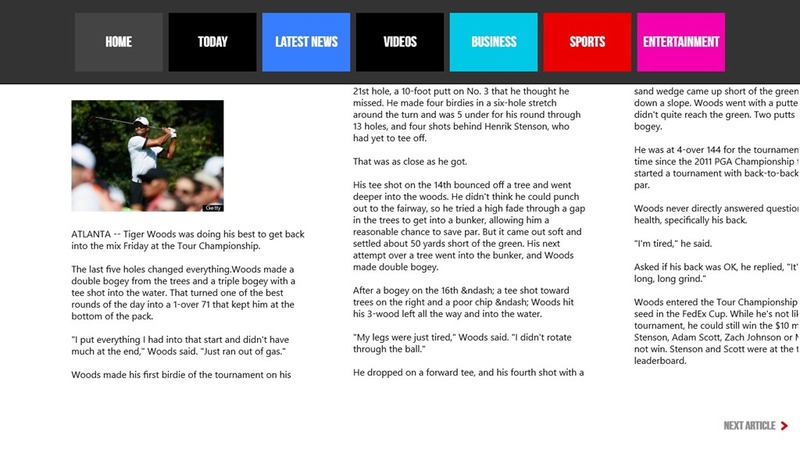 The free Windows 8 News app also provides you with the capability to check out Video Coverage from AOL.com. The news are visible on main screen of AOL Today in form of tiles. 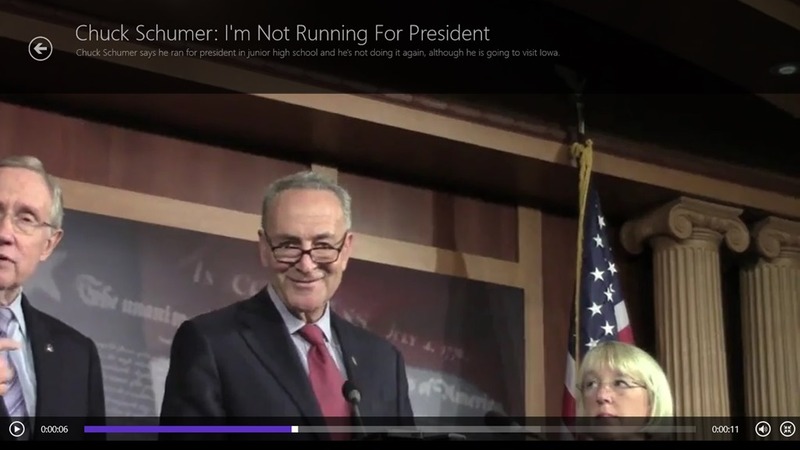 You can easily browse smoothly through the news. 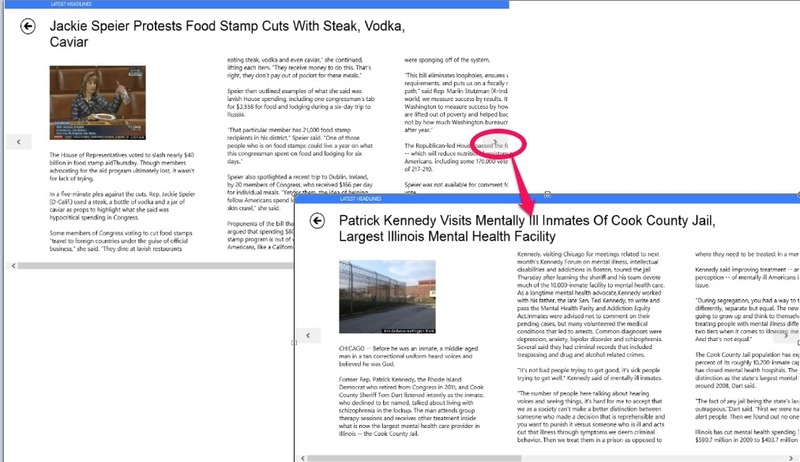 In all sections (except the Video) the articles can be browsed one after the other using the arrows which are present on both, right and left sides of the articles. Other thing worth noticing is that when you open any particular article in this free Windows 8 News app, the entire article will open up at the same time. You don’t have to change or turn pages in order to read any particular article completely. Another thing worth noticing about the app, is the Video section. The Video section provides News coverage from AOL.com. The videos are available in good quality and resolution. While using this free Windows 8 News app, at any time, you can reach any particular section easily. When you right click on the app’s interface, a flyout will appear at top portion of the app. This flyout has buttons for different sections. Switch through the various available sections like Latest News, Videos, Business, Sports and many other, from the flyout of the app. Get Weather and Latest Local News for any city of the U.S. Using this free Windows 8 News app, you have the capability to see the weather forecast for any city of the United States. 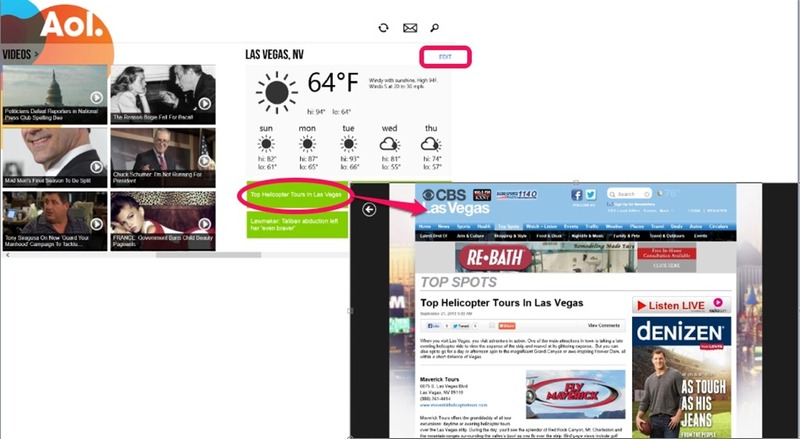 This section to view weather forecast for a particular City is available next to the Videos Section of this free Windows 8 News app. Here, as I have indicated with a circular cornered rectangle, EDIT would be written in Blue Color. Click on it and enter the Zip Code of any city of the United States whose weather forecast you want to see. When you click on save, then forecast for that particular city will be shown there. Along with that, the latest news coverage of that city will also appear as Headlines. Click on any Headline and the entire article will appear right in front of you. Nice interface: The interface of the app is quite nice and easy to understand. Choose from a number of Categories: You can choose from a number of categories like Latest News, Sports, Entertainment and many others. Get news from AOL.com: AOL is one of the most researched news searching site. Get news right from the site using AOL Today. Find Local News and Weather Forecast for any City of the United States by providing its Zip Code. AOL Today is a great app to use. Using this free Windows 8 News app is quite easy. The content available on the Website is updated from AOL.com which is one of the finest news source. The video section is quite good. All in all, AOL Today is a great app to use and I would really recommend using it.